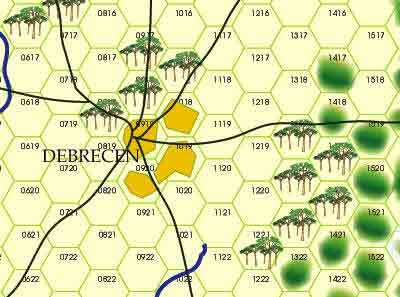 There have been only two games on the chaotic tank battle that swirled around Debrecen and then spilled onto the Hungarian Plains in October 1944. Both designed by Perry Moore. The 1983-4 version published by West End did not use the original combat system, a system F&M Magazine back then called "an uncut gem". 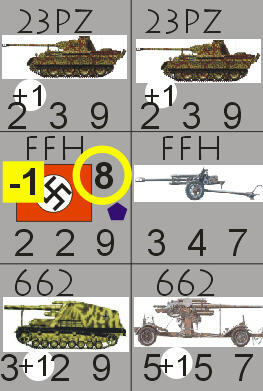 This DTP version is smaller and easier to handle and uses the original system that shows how German units, although weak and depleted could, and did, cause significant losses to the Russians who were far superior in numbers. This version is quite different than the 1983-4 game. 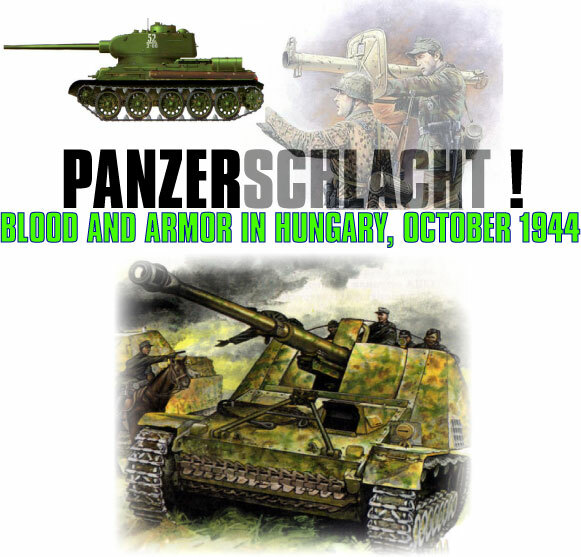 The game covers the truly epic tanks battles from Oct 9 to 29th , as the Russians sent six to seven corps sized units, including the 6th Guards Tank Army , to crush the German 6th Army, which included the 1st, 13th and 23rd Panzer Divisions. The Russians were hoping to also bag the German 8th Army,which was far to the east trying to avoid encirclement. It was a critical time. A critical battle. It truly was the Last Panzer Victory. But a victory the Germans paid a heavy price for. Had the Germans failed, it is quite possible another major debacle would have happened, this time, two armies would have been lost! The Game comes with a 11x17" map, rules book, 280 counters. Scale is company to regiment, daily turns, 1-2 miles a hex. Rules cover random events, ammo depletion, air units, assaults and mobile attacks, skill modifiers, command and control., 88mm guns, artillery and more! Terence Turnovsky 9 10 9 An interesting design. But there are some questions regarding unit entry.